CFR's Steven A. Cook; Melissa G. Dalton, fellow at the Center for Strategic and International Studies; and James F. Jeffrey, fellow at the Washington Institute for Near East Policy join Thomas R. Pickering, former U.S. Under Secretary of State for Political Affairs, to assess Turkey's relations with its neighbors, its handling of the migrant crisis, and offer U.S. policy options moving forward. The panel considers President Recep Tayyip Erdogan's leadership, Turkey's role within the NATO alliance, and challenges in the bilateral relationship with the United States. The Home Box Office What to Do About... series highlights a specific issue and features experts who put forward competing analyses and policy prescriptions ina mock high-level U.S. government meeting. PICKERING: Good afternoon. I hope you’ve had a lovely lunch. We’re about to make it pay. (Laugher.) The panel today is on Turkey. And I have a few opening words. You’ve seen the names of our panelists—Jim Jeffrey, Melissa Dalton, and Steven Cook. The introductions are in your papers, and so I won’t bother and take up your time to move that further. On behalf of CFR, I want to thank Richard Plepler and HBO for their generous support of this series. I want to welcome CFR members around the nation and the world participating in this meeting through livestream. This is meant to simulate, but not reconstruct, a National Security Council meeting on Turkey. Any resemblance to the reality will be purely hypothetical. But I will start by sketching a few thoughts on Turkey today and its challenges, and a few thoughts about U.S. current policy to Turkey. I will ask each of the panelists to respond, both to correct my errors and omissions in the analysis, but also give us their thoughts on the policy and what might be done to correct it. Turkey is a major preoccupation of the United States, and as well it should be. Years ago I was struck by the fact that after the Second World War, a Hungarian foreign minister declared that Hungary was the only country in the world surrounded by Hungarians. The relationship to Turkey is that Turkey is perhaps the only country in the world completely surrounded by problems. At one time and another one had seen in every azimuth serious difficulties. Turkey today is in many sense of the word a major preoccupation of the United States in large measure because it is close to the significant problem sets in the world. Three in particular I think are of transcendental importance to us, and very great significance to Turkey: Iraq and ISIS, Syria and ISIS, and the Kurds. And their longstanding preoccupations with each of these, and their difficulties and their changing azimuths in dealing with each of them are important. Turkey in that regard has had a building enmity over the last four or five years with President Assad and sought to unseat him. Turkey, with its religiously informed and tilted government, has from time to time seen perhaps ISIS, al-Qaida, Jabhat al-Nusra, Ajnad al-Sham as less than consequentially as we have seen, as organizations devoted to pursuing Islamic fundamentalist terrorism on their borders. They’ve been more preoccupied, perhaps, with the Kurds and the Kurdish problem, a longstanding issue for Turkey which I won’t sketch out because it would take us a couple of NSC meetings just to go through the facts in the case. But it is very clear that Erdogan and Turkey are in many, many ways, perhaps, as bothered and concerned by the Kurds and perhaps PKK influence as they have been certainly at any time perhaps since they put Mr. Ocalan in jail. And Turkey and Iraq have had a longstanding and somewhat contentious relationship. Mutual interdependence to get energy out and to deal with Iraqi energy as some kind of a source for the Turkish southeast, if not beyond, and a significant set of concerns about the near almost quasi-independent Iraqi Kurdistan, and its interrelationship with Turkey, and its large number of Kurds, and its preoccupation with the PKK. It is, I think, also extremely important that while the United States, far away, has had a longstanding and very important set of relationship with Turkey, both Turkey as a NATO member, Turkey as a putative EU member, Turkey as a kind of rock or bulwark of what is, perhaps, an unusual extension of Europe into the Middle East. And the role that it plays in the Middle East as a Sunni Islamic country is of significant importance to Europe and its role. And Turkey’s history with Europe, of course, has been at best checkered. And recent efforts obviously on Turkey’s part—I may be too direct in this—to give payback to Europe for their “welcome” in the EU, if I can use that word in quotes, through export of Syrian refugees is in one and another ways also one of the preoccupying factors. Just in this arc of Turkey’s border we see in fact what has moved on from a conflict which at one time the old Arab statement the enemy of my enemy can be my friend, that particular way of thinking has now disappeared. And in fact, it’s a war of all against all in many circumstances, but a confused and chaotic picture in which the United States has great interests, both in the potential over the long term for a future political settlement in Syria, for dealing with ISIS, which has not only set a caliphate based in Raqqa but in many ways is doing two other things strategically which the United States is, and should be in my view, more heavily preoccupied with: border jumping by creating franchises in various parts of the Islamic world from as far east as certainly Afghanistan and maybe Indonesia, to as far west as Mali and Nigeria and secondly, using its capacities, particularly now in Western Europe, to use terror attacks as a way both of pushing its influence, certainly stimulating its recruitment, and seeking to find ways to dislodge and disrupt the harmony and purpose certainly of Europe and the West. Two other factors I think are important: Turkey has had not necessarily simply splendid relationships with the United States over this region of the world and other factors. But at the same time, the United States has worked hard, obviously, to continue to keep Turkey within the ambit of NATO and in the general direction the United States would like to see it go. But Mr. Erdogan marches currently to his own rather new set of drummers, and is not completely in one way or another either predictable or, in some words, reliable. At the same time, Turkey has found perhaps a new opportunity, or maybe a new danger, in its big neighbor to the north, beginning with the shoot down, but the buildup, obviously, of Turkish concern by Russian presence on both sides of it, something the Turks have never liked on one side of it. And that will in many ways, I think, be a useful thing for us to think about in the meeting, as to whether it provides some of the leverage we lack. U.S. foreign policy toward Turkey has been at best difficult to understand. Put it this way, mobile and dynamic, perhaps best framed around bringing Turkey along with our own interests in the region, and doing what we can to get along with a somewhat irascible and somewhat changeable gentleman in charge, who still has a commanding presence in Turkey. Doing what we can to build a relationship, doing what we can to see that that relationship is oriented in the directions in which we would like to go, and certainly not against us, and if at best cast in a do-no-harm mode, where nothing else seems to be reliable and useful. If you found it difficult to think through all the elements of U.S. policy toward Turkey, I think it would be—it’d be safe to say that you join the four of us on the stage in the simply more difficult conundrum there. So now let me, if I can, turn things over to my friends and colleagues here on the NSC for their visions and views. And maybe, Steve, I could begin with you. Give us your sense of where that analysis ought to be tweaked, corrected, reoriented, and perhaps a little bit of your own sense of the policy directions that we take. COOK: Well, thanks very much for the question. And thank you all for being here. I now know who’s not advising Donald Trump, who’s giving a speech around the block. I couldn’t wait to say that today, actually. (Laughter.) But back to the NSC meeting, we have moved. Our relationship with Turkey has moved over the course of this presidency. It has never been an easy relationship, but I think there was a broader, more expansive sense of how we can work with the Turks at the beginning of the Obama presidency that changed significantly toward the end of it. And that was, if you remember, the president went to Ankara in April 2009 and talked about common values and common vision, and the way in which the two countries can work together in a variety of areas. And at the time, the National Security Council produced three essential points around which Turkey policy would be conducted. One is anchoring Turkey firmly in the West. Two is enlisting Turkey to help advance American strategic interests in both Europe and the Middle East. And third, to hold out Turkey not necessarily as a model, but as an inspiration to countries to its south and east, that is as a prosperous and democratic predominately Muslim country. I think we have moved from that. None of those are as clear that we can do those things, given the changes in Turkey in particular, and changes in the region as well. And I think we are now moved to what is essentially a transactional relationship between Washington and Ankara. There are certain things that we would like to do with the Turks. There are certain things that we’ve identified that are in the common interest. And even things that are in the common interest are often difficult for the United States to do, so we’ve chosen not to rock the boat with the Turks on things that are less important to us. So the primary example of that is, of course, we have been relatively mute about the profound changes in Turkey’s domestic politics, in its clear authoritarian turn over the course of the last six or seven years because we have prioritized some of those strategic issues that you outlined, mostly having to do with the conflicts in Syria and Iraq. DALTON: Thank you. It’s a pleasure to be with you all here today. I’m going to talk a bit about the defense policy perspective with regards to Turkey. It’s certainly in the interest of the United States to pursue close strategic ties to Turkey. It’s one of the top 20 economies in the world. It’s a key NATO ally that sits at the nexus of challenges in the Middle East and Europe, predominately a Muslim member of NATO that can bridge some of the hot spots in the Middle East, Caucasus, and Eastern Europe. U.S.-Turkey relations are often contentious, for most of the history of the relationship. But arguably, currently we’re at a bit of a low point. Tensions of the PYD, the United States support for the Kurdish affiliate in Syria are the tip of the iceberg of those tensions. The Turks saw the NATO response to the violation of its airspace, the downing of its aircraft, as weak. And the Patriot redeployment didn’t go over well. Security is really the hub of the relationship, but it’s often hindered by bureaucratic scenes in the Department of Defense. Too often the U.S. defense approach to Turkey is complicated by the fact that Turkey sits in European command but issue sets often span into the Central Command space. And this may seem to be purely a bureaucratic issue, but it has strategic effects in terms of the overall defense approach to Turkey and how it affects overall relationships and unity and consistency of operational and military communication with the Turks. While the United States and Turkey are working together to address shared interests, such as countering terrorism and deterring regional aggression, we often diverge on how we go about securing those interests, the objectives that we purse in search of those interests often diverge. I’m happy to dig into that throughout the discussion. JEFFREY: Tom, as you posed the question I was thinking to myself, OK, the way to do that is to lay out, back in 2009 when I showed up as ambassador, the three levels at which we approached Turkey diplomatically and politically. And then Steve laid all three of them out perfectly. And I was really happy. It was even better than I was going to put it. JEFFREY: But let me then jump forward to where we are now, because two of the three—trying to anchor Turkey in terms of institutions and values into the West has somewhat faded, just like it’s faded in Egypt, and Saudi Arabia, and a lot of other places. And we all know why and the rationale for it, whether we agree with it or not. And the idea of Turkey as a democratic political Islam champion in the region, for even more clear reasons, that has kind of faded as well. And so we’re left with the transactional getting Turkey to work with us for our interest and mutual interest. And there are a lot of them. I’ll inventory them very quickly, and then point to the problem that will get back to Steve’s three policies. First of all, if we’re serious about dealing with ISIS and dealing with the horrible situation in Syria, whatever our response is to the expansionist moves of Russia and Iran in the region, if we want a solution in Cyprus which for the first time since 2004 is actually close to being achieved, if we want to help the further integration of Israel into the region by reopening cold relations with Turkey and possibly expanding the gas in the Leviathan Field, the export of it, and more generally if we want Turkey as a gas export hub from the Middle East and from the Caucasus as a possible counter to Russia, and essentially if we want Turkey playing a stabilizing hand in the Caucasus, where against we have problems right now with Nagorno-Karabakh, we have to have that relationship. And as you said, Melissa, it very much is based on security and military relations, as well as diplomacy. The problem is that we worry a lot about Erdogan’s ability in the long run to deliver it. He’s a powerful guy. He’s very solid in the saddle. In a lot of respects, he sort of looks like Putin. The difference is, unlike Putin right now, half the population is more or less adamantly opposed to him. And of that half, about half of them are totally in a different philosophical an ideological worldview than Erdogan. So there’s a great deal of internal tension. He is exploiting that and exacerbating it, particularly in the way he’s pursing the current campaign against the PKK, this Kurdish insurgent group, that is having a terrible effect on the internal situation in Turkey. It’s having a certain effect even on the economy, which has been one of his very strong points, so that his ability to provide Turkey as a platform for what he wants and what generally we both collectively want is under question right now. And this raises the problem of for realpolitik reasons, do we want to help him in some way to potentially change some of his internal policies, not just for the fact that he is violating values that we hold dear, but the fact that he’s hurting Turkey’s chances to play the role that he wants it to play, and we certainly want it to play. I think what we’ve heard from the members of the security council meeting is that our relationship with Turkey has not grown better, arguably worse. Secondly, that it’s a transactional relationship now more than it ever had been. Thirdly, Jim has outlined a series of potential carrots, although some of them strike me as more stick-like than carrot-like. (Laughter.) For example, Cyprus has had its own set of very difficult arrangements in terms of arriving at a solution, which I suspect is going to require more give than get on both sides, as they see this issue. And the startling and valuable thing is that we have people on both sides who see this as a possibility rather than an exploitable irritant in terms of getting there. Secondly, Israeli gas may be in some ways consumable in the region as opposed to exportable, but what does Israel have to give to get its gas out through Turkey, as opposed to what does Turkey have to give to get the gas exported through Turkey? And that balance there is, of course, mirrored in the Mavi Marmara problem of how and in what way do we take it the final steps between Turkey and Israel, with the leaders on both sides seemingly have played blind-man’s bluff with baseball bats with each other in a way that has left the problem of a patch-up deeply wounding in itself, perhaps, and not necessarily exploitable the way in which it had been in the past, where the bedrock of Turkish-Israeli cooperation was heavily in the military sphere, somewhat in the trade, but less, and as a result had some useful political connotations for both of them, which is now seemingly gone up in smoke these many years and not be recoverable? The other problem is, what is that we could do, if we were looking at way to tweak or shift our policy vis-à-vis the Kurds, that might have some attraction to Erdogan and the Turks? What would they expect? What kind of arrangement should we be thinking of with respect to the Russian problem? The Russians are playing a role in Syria where, I suppose, you could say we need them as much as they need us. And so it is very difficult to see how extra leverage might come out of the Syria negotiations. And our side, we see a serious problem with what I would call Turkey’s religious overhang, and less than serious attention either to ISIS or perhaps the future of north Iraq. And we may, in a sense, have more leverage working against us on that problem than we have coming for us. And so it’s transactional certainly at this stage. And that’s not unimportant. Steve, what do you see as possible carrots on our side to reevaluate this policy? COOK: It’s an interesting question, because it strikes me that in each one of these policy areas that you’ve outlined, or these problems that you’ve outlined, the way in which either the Turks, or their partners, or their adversaries define the issue makes it difficult for the United States to gain some leverage or offer carrots or sticks in the conflict. That to suggest that they define these conflicts in existential terms. So how do you—how do you move the Turks with regard to our position on the Kurds? It’s very, very hard to do that, given the fact that we are working with the PYD and YPG, which the Turks clearly believe to be closely associated with the PKK. What are we to do, given the fact that the YPG seems to be more effective than other friends on the ground against the Islamic State, and that’s what we have identified as our priority? We would have to get the Turks to step up in the first against the Islamic State, but they prioritize their fight as a fight against the Kurds. So it makes it extraordinarily difficult to find how we have leverage in this kind of situation. I think actually, as difficult as it may be, and I think you probably know this first hand, Tom, the area where we might have some sticks and carrots is in the Turkey-Israel relationship. Now, I’m on record as being extraordinarily skeptical about this. One, in thinking about the man, Erdogan, which I think we do too much of and we don’t think enough about his constituency and how he has actually transformed Turkey in a way that is quite popular for at least half the population. It’s hard to think, though, that Erdogan after the Mavi Marmara, after a couple wars in the Gaza Strip, after everything that he has said, walking this back in a way that they can go back to some kind of business as usual, in the same way it seems hard, despite the fact that, you know, bureaucrats and security people in both Israel and Turkey kind of want to have this relationship, it seems hard in Israel for them to politically do this. Now, the problem now is—it’s not really a problem. Where we do have some leverage is the Russian-Turkey relationship is a way to kind of push the Turks in the direction of the Israelis. That’s something that we’re already seeing. The Israelis, with the big gas find off of Egypt that Eni found last year. The Egyptians aren’t going to need Israeli gas. The Egyptians may well go back to sending gas to the Jordanians, if they can get control of the situation in the Sinai. Where are the Israelis going to sell their gas? And the most logical place for them to sell their gas through is Turkey. Now, for all of the deep-sixing of the Israel-Turkey relationship, the one place where things are actually quite good is on that business-to-business, trade-to-trade relationship. Israeli business and Turkish business has flourished. The airline that has the most departures from Tel Aviv is not El Al, it’s Turkish Airlines. So there is a way in which the United States—and I imagine that we are doing this and we should continue to do this—is kind of—it’s never going to go back to where it was, but this is a place where if we want to think about reintegrating Turkey into the region, whose entire strategic position has collapsed, one of the ways to do it is with Israel, whose strategic position in the region has never been greater, and a way of kind of tying these countries up tighter is through this energy thing. Other than that, all these other issues that you’ve outlined seem to me very, very hard for us to generate any kind of significant leverage to kind of compel the Turks to do something, because of the way in which they define their conflicts. PICKERING: Let me suggest something that may come out of your thoughts as an idea we ought to pursue further. And that’s the question of whether the overt patch up on the business side, Turkey to Israel, shouldn’t be the flagship, the public face. But the Israelis and the Turks over the years have learned how to cooperate in the military sphere in ways that have eluded and indeed subverted publicity. And I think it might be useful to begin to suggest—Erdogan I think will be the most difficult in this, even though he has perhaps the most to gain in terms of Israeli technology and Israeli tactical capacities and things of that sort. And he knows over the history, say, of the Turkish Air Force that they’ve gained a great deal through cooperation with the Israelis, which in many ways is still there to be maintained and pushed ahead. So that would be something that one would want to investigate as a way ahead. How and what way we could use that as a carrot, and what we would expect to get in return is a little harder to say. The second question I have, and Jim maybe you would address this a little bit, and Melissa, talk a little bit about the Israeli-Turkey relationship when we come around to you, but Jim take a look at the question of whether there is something that we could do in the longer run on the Kurdish side politically. I would think that with the significant amount of influence we have in Iraqi Kurdistan, and the relationships might be able to build something a little more solid in Kurdish-Turkish relationships, which the Turkish side might find useful. They already dominate pieces of that relationship, sometimes militarily. But moving it out of that field, could one look at a series of reciprocal commitments to non-action or action that might in some ways help to strengthen Turkish confidence that essentially pseudo-independence in Iraqi Kurdistan was not a dagger pointed at the heart of Turkey, but in fact a set of relationships and allies where they could work both with the folks in Syrian Kurdistan, but also stay out of Turkish Kurdistan, perhaps find useful ways to try to influence people there. It’s a lot better to have friends in the Kurdish world, if you have a Kurdish problem, than it is to have enemies. Is there something there? And then, finally, I think of course NATO and Article 5 are not irrelevant with respect to Russia. On the other hand, I’m not sure you can sell Article 5 two, three times a week to the Turks for something else. And then the question would be, what would we like? I would put a fairly high priority, particularly for something like the Kurdish arrangement, on a better Turkish effort on two things. We didn’t discuss it at length, but refugees—that is, keeping refugees perhaps in some kind of safe area in northern Syria where Turkey would have to have some responsibility, but others would as well. There’s no use gathering refugees who are going to be decimated by barrel bombs. Or in southern Turkey, which is a more, put it this way, trenchant requirement on Turkey to deal with. But that might be useful. And that would be helpful. The second is a tighter seal on the Turkish border, as we know that it has been, and in fact used by some of our Gulf friends occasionally, to support what we would call marginally interesting Syrian opposition organizations. JEFFREY: Tom, on your last couple of points, it’s somewhat frustrating because on the three security problems Turkey sees to itself—PKK/PYD, the Kurdish problem; the ISIS problem, of course; and the Syrian government—we at a certain level of abstraction are kind of in agreement that they’re all three problems, and you know the boilerplate. The problem is, how we rack and stack those three, and the priorities we give and the intensity of it differs between the two of us at the detail level, which is the only level that really counts. I’m reminded of, as you’ll remember, how we were all frustrated in Bosnia from ’91 to ’95, because that was the relationship between us and any one of five or six other players. We all wanted in the end to be the same place, but how to get there we didn’t—and then finally, we kind of all found the lowest common denominator. That’s what we need. It starts, as you said, with the Kurds. We need—and I think the reason for the 250 special forces going into Syria is largely for that reason. We are looking for people to take on ISIS, other than the Syrian Kurds, because they now have reached the outer limits of the Kurdish areas, and to put them into Arab areas, particularly without some Arab—well, they have some—but more Arab allies and probably more American eyes on is particularly worrisome. I think that that’s an area where we can start approaching them and saying: Look, our relationship with the PYD, this is, much as you don’t trust us—and they don’t trust us—but still, this is how far we’re going to go. It has physical limits. We don’t go across the Euphrates, other than the one place we did go across the Euphrates, and there’s going to be real limits to this. Secondly, with the PKK, there behind closed doors we have been very, very helpful in all kinds of very sensitive ways on fighting the PKK over the years. We need to tell Erdogan that, without letting the cat out of the bag, which we know is that he’s using this in part for domestic political almost xenophobic rousing the masses, if you will. But we have to tell him that this is not going to turn out well. There are ways that we can work with him. There’s ways that we can work with Barzani. So that would be the first thing. On the Syrian threat, again, something like a safe zone. Anything that looks like we’re not going to walk away from the Syrian problem and leave Ankara to face Assad backed by the Russians and the Iranians will be very helpful. That’s why pulling out those Patriots was symbolic, but it really hurt. And then the last one, against ISIS, again, they’re about two-thirds there. It’s more a question of priority than some kid of sneaky backroom relationship with them. They have done a lot to cut off the border. We’re seeing very reduced flows of foreign fighters in, for many reasons, including the Turks’ actions. So you can see a way to do all three of those things. What they would want is us to lay out a comprehensive strategy—what I easily did because I’m not in government, it’s something we’re doing in a lot of detail—on the one hand. And then secondly, Erdogan would have to move away from his more extreme exploitation of these issues, particularly the Kurdish one, from domestic consumption. We would have to move a little bit away from our very expansive American, you know, what we want the region to look like and what we want to happen and not happen. ISIS goes away and all this. While putting in a minimum American presence. There’s got to be a closing of the gap. And I think it’s possible. PICKERING: Thanks, Jim. Melissa, talk a little bit about your reactions to the potential for maybe more quiet Turkish-Israeli resumption of military cooperation. And what is it that we see, because it’s always there. What’s on the ledger that Turkey wants from us on the military side in a transactional set of relationships that could be used to sweeten, or improve, or lever the relationship? DALTON: Great. Thanks. Picking up those threads, and then I’ll add in a couple of others. On Israel-Turkey, from the United States perspective, having two allies at the northern and southern ends of the Syria-Iraq mess kind of anchoring the situation would be incredibly helpful. Right now there are tensions with Turkey. There are arguably also tensions with Israel. So shoring up the bilateral relationship between the two, and then also working on our bilateral relationships with both countries I think would be incredibly advantageous. And I think the hook that Ambassador Pickering mentioned of defense technology cooperation between the Israelis and the Turks is definitely worth pursuing. In terms of other carrots that we might offer from the military defense basket, I think looking more broadly at the Russian challenge, and particularly the Black Sea region, there’s some area for enhanced cooperation that might have advantageous effects for the overall bilateral and NATO relationship with Turkey, given the stepped up Russian aggression in that region, particularly in maritime security cooperation, intelligence, ISR sharing, and combined exercises that we might do in the region. And enhancing those overtime I think would both increase our deterrence vis-à-vis Russia, and help us achieve common objectives that NATO, including the Turks and the United States, have, but also have second-order effects for how the Russians perceive NATO, and Turkey, again, included in that, and its effects on the southern region. And I think having a more holistic picture of our defense engagement in the broader region would be quite helpful going forward. PICKERING: Let me just do one thing. PICKERING: A military question for you—two military questions. PICKERING: What would be wrong with suggesting that since the Israelis have already committed themselves to the Russians, to take out any equipment shipped to Assad that poses any threat to their air supremacy. What about translating that to something that would also relate to Turkish interests, in one way or another? Is there a piece of that that might be useful? And then, I think—the second question, I think, is U.S.-Turkey. And I think there the issue is, are there particular items of equipment that they want? Is, for example, also an Israeli possibility that we could help them link their two air defense perimeters, so that they could see what the Turks see and the Turks could see what the Israelis see, as an additional effort to provide security and certainty about the air picture that clearly both of them are concerned about. DALTON: I do think that those are two right options to explore. On the interdiction piece, at minimum having a better common operating picture with not only the Israelis but with the Turks sharing across the Mediterranean and to the south, that there’s more that we could do to help bring the Turks into that picture, allow them to have better eyes on the situation, and then also pass information to us. PICKERING: Well, the Turks can see into Iraq and to Iran, which the Israelis would like to see, if they don’t already. DALTON: Right, exactly. So there’s that element of it. In terms of bilateral defense cooperation with the Turks, between the United States and Turkey, I think the air defense element of it, stepping up their capabilities is particularly top of mind given the threat to Kilis right now, and the rocket attacks that Turkey is suffering from. And actually, some lessons learned to be garnered from Israel in that sense. It is, in fact, Katyushas that are being launched into Kilis. The Israelis, of course, have Iron Dome, which, you know, at the moment there are prospects to develop that kind of capability with Turkey, but, you know, certain tactics, techniques, and procedures that the Israelis use to combat that threat could be shared with the Turks. And there may be specific air defense systems that the United States might be able to provide to the Turks over the next several years. And the United States actually just this week announced that we will be deploying HIMARS, a high altitude artillery rocket system, into southern Turkey, as well as in Iraq, to combat the ISIS artillery threat. PICKERING: Would it be also of potential interest to secure, if they don’t have it already, kind of an air picture link between Iraq and Turkey at this stage? DALTON: Sure. In the 2003 Iraq War, which sort of blends together with the current one, but to distinguish, there was, as Ambassador Jeffrey alluded to, significant military intelligence cooperation on kind of the southern border of Turkey, northern border of Iraq. And so stepping up those intelligence and operations fusion efforts I think would be quite useful. PICKERING: And Turkey as an essential link between Israel and the picture would be something useful to offer there. DALTON: Absolutely, absolutely, to see the full region. PICKERING: In any event, these are some ideas. We’re going to do one brief round with the three of you. What else should we be thinking about that we’re not thinking about in the policy specifics here? I think the framework we’re working under has changed a little bit, but the framework is really—the pillar of the framework is what can we do to preserve Turkish help and cooperation, and improve it? And that seems to be the general direction. Steve, I’ve ignored you for a while, so what can you give us? What advice or thoughts, or what should we be looking at here? Things that you know bother the Turks that maybe in one way or another we have an opportunity to turn into a transactional help. PICKERING: Sure, but my view is let’s test all assumptions here at the NSC. COOK: Right. And I think that one of the things that we—that is a transactional relationship, and this is going to make some people angry, but is that if, as Ambassador Jeffrey pointed out, the Turks are two-thirds of the way there on the Islamic State, then we can ease off on the YPG and the PYD. And that is something that we traded over the course of many years many times. It’s not trading the Iraqi Kurds, which are inching ever closer towards independence, which is something that I think is going to bother the Turks so much. So we could trade the YPG/PYD for greater Turkish cooperation. I think that we have to have a conversation, as Ambassador Jeffrey said, about what an actual strategy combatting the Islamic State in Syria means. It doesn’t mean, necessarily, marching an American army onto Damascus, which is what I think the Turkish preference would be. We will get nowhere with them on domestic politics, so I don’t think we should even bring it up. And I think to the extent—and this is important in terms of trading—is that if we define what is important about Turkey as what’s going on around Turkey, then not hammering them on the very clear authoritarian turn in Turkish politics is a wise thing, because when we do that, and I know there’s tremendous concern, that when we do that they will, in a fit of pique and anger, pull back from the things that we think that they’re doing that is important for us. So perhaps we should say—as difficult as that is to say as a person with values—to say something like that. Those are really the places—and of course, as I mentioned before, I think that there are greater options now on the Israel front, as politically difficult as it is for both Turkish and Israeli politicians to kind of swallow hard and move forward here, I think that there are some things, given the changes around the region, for us to kind of push the Turks in the direction of the Israelis and the Israelis in the direction of the Turks that will benefit all of us. But my sense is that it’s going to be less—it’ll be a quiet conversation about the kinds of things that Elizabeth is talking about—Melissa. Did I call you Elizabeth? DALTON: It’s OK. It’s a nice name. COOK: I’m sorry. I’m sorry. I knew it as soon as I said it. As soon as I said I knew—so anyway, my apologies. COOK: And more on that kind of commercial front. And the gas stuff I think is right the same and forward for all of the players there. It’s the Turks. It’s the Israelis. It’s the Cypriots. It’s the Greeks. And, quite frankly, it’s also the Egyptians. And we hit all those, that would be—that would change things, I think. PICKERING: Let me pick up on two other pieces here, one related to what you just said. Cyprus is not going to be an easy course, but it would settle a problem that has been an irritant for Turkey for a long time, despite the fact that Turkey and Greece played a mutually irritating role in getting there. And getting that off the picture would be helpful. Are there things that we could think of, maybe quiet things for a change, that would help to facilitate the Cyprus workout, that we could get some credit for the Turks for? And I think that might be something we think about. The bigger question, and I’ll ask Jim and Melissa too to comment on this, is Kurdish policy on the part of the U.S. We clearly have in one way or another tolerated, if not directly supported, the creation of wider independence for the Kurds in northern Iraq, for a whole series of reasons. Is it time for us to have one of those, put it this way, hail Mary conversations with the Kurds—I didn’t want to say come to Jesus conversation, because that’s a different story—(laughter)—with the Kurds about their long-term future? The values of a long-term future as a fully autonomous piece of Iraq which doesn’t take them over the lines they’d like to cross, but can’t pay for, if I could put it this way, or can’t stand the heat on. Is that something that’s useful? And is that conundrum, or that approach, or that paradigm something that can be usefully reassuring to the Turks? JEFFREY: OK. But we do need to figure out, OK, how does all this play? And what are the consequences of ignoring the Kurdish northern Iraq issue or embracing—and there are lots of people in this town who would like to embrace it—a kind of independence, or reigning them in? And that has to fit into something larger, or it won’t have legs. And the Turks know that, as do the Kurds. And I think that if we can flow from our basic principles our specific responses and various things, this will help us be more predictable to the Turks, because one of the things that they accuse us of is not being predictable and going back and forth on various things. And there’s a lot to be said for that argument. So more predictability in the relationship and a more specific—otherwise, they’ll think the worse of every relationship we have with any Kurd, that it’s a way to pressure them, that we’re always out to get them. And there are ways to reassure them, but they take an awful lot of work. PICKERING: And that reassurance might at some point even take the form of some serious Iraqi Kurdish conversations with the Turks. JEFFREY: Exactly. The relationship there is actually quite good. PICKERING: But we have to take out of the closet the issues that aren’t easily addressed. And we have to prepare the closet before we do that. JEFFREY: The Turks do not want to see an independent northern Iraq, period. Well, ladies and gentlemen, you’ve all joined the meeting. And you’ve heard it. And I’ll just go around. Is there—Sam, do you want to pick the people, for any reason? They’re all my friends, so it’s OK. (Laughter.) Please right here. And the microphone will come to you. Please tell us who you are and your affiliation. Q: Yeah. Marisa Lino, Northrop Grumman, formerly of State. I would like to go back to one of the three pillars that Steve mentioned, and that is anchoring Turkey in the West. Everybody knows the long and painful history of Turkey with the EU, which has run hot and cold on both sides. And it seems like in the last decade it’s run cold on the Turkish side, except most recently with this whole question of the visas and so forth, it seems like Turkey’s, to me, somewhat illogically, turning again hot on becoming part of the EU. And I’m curious if you agree with that or not, and if so, why? PICKERING: Well, $3 billion is not an irrelevant factor. But, Steve, why don’t you go ahead on that, because I think your point that that seems to have escaped us I’m not sure is totally the case. Tell us what you think, and whether there is anything further to be generated. We’ve sort of looked at the EU connection through Turkey-Cyprus, but are there other things that you see in the EU side? COOK: Well, look, just—I mean, my view of that arc of the last decade with the EU is that in late 2004, early 2005, the Turks finally got an invitation to begin negotiations. The theory from the time of the EU was if we proceed with negotiations the Turks will lock in the reforms that they’ve promised to do, and will continue to do more reforms. But no one actually ever really—in Europe—ever really expected the Turks to do anything. And almost immediately the Europeans decided that they would put the process really in a deep freeze. And this had a dynamic effect on the Turks, who started to see this as not really much of a process, but they didn’t want to let the Europeans off the hook. The Europeans didn’t want to see—be seen as being anti-Muslim. And the Europeans didn’t want to let them off the hook. I think the current discussions, in ways the Turks have turned the tables on the Europeans, which is, you know, the Europeans have suddenly discovered that they really do need the Turks on these refugee issues. And the Turks have basically taken them to the cleaners. They’ve let—you know, it’s not $3 billion. It’s closer to $6 billion. It’s something that they’ve always wanted, which is part of the visa-free travel throughout Europe in the Schengen Zone. And a discussion about how to reenergize EU negotiations. It strikes me that in 2003 and 2004 and part of 2005, one could imagine the objections to Turkey’s entry into the European Union based on kind of technical issues, based on political issues and so on and so on being resolved. Given the changes in Turkish domestic politics, and the profoundly anti-democratic things that Erdogan has pursued over the course of the last five to six years, I can’t imagine that process moving forward. So that what we have here, again, is transactional relationship within the kind of cover of the EU. But I don’t really expect a lot of progress, as long as the quality of Turkish politics is what it is. And going back to something that I think Ambassador Jeffrey said at the beginning, was—or maybe it was you, I’m surrounded by ambassadors, Ambassador Pickering—that, you know, will Erdogan be there? How long will he be there? He’s fully intent at being there at the hundredth anniversary of the republic. And he’s fully intent on transforming the country. That, at least in the current iteration of Erdogan, which is the iteration that we’ve seen since 2007, arguably, doesn’t seem compatible with European entry. What do we do? I think we continue at the rhetorical level that we always have, which is Turkey and the EU, this is an ongoing process. I think if you talk to my friends in New York who are, you know, bankers and financial engineers, and so on and so forth, they regard Turkey as being part of the European Union. And we would be thankful that those things remain robust, and that that is how Turkey is predominately anchored into Western institution. PICKERING: The key follow up, is Erdogan at all now interested in the EU? COOK: It strikes me—and maybe my co-panelists here will have a different view—but it strikes me that Erdogan does everything for his own domestic political purposes. And to the extent that it is instrumental to him in that way, he is. He’s interested in it now because he—the tables have turned and the power relationship is different, and he’s extracted copious amounts of funds and something that all Turks have wanted for a long time. PICKERING: And more to come, if he gets—if he gets right. PICKERING: And there’s perhaps another transactional piece here that we could incentivize Erdogan in terms of trading his serious success with the EU in domestic politics for slightly less irritating domestic posture that could begin to open the door to something that doesn’t have a half-life of 25 years anymore. COOK: Well, he knows the man better, so. PICKERING: Jim, what do you think? JEFFREY: So we have to transcend that. And then if you can say: This is how it will help you. We talked about this a little bit before. This is a guy on things like the NATO radar in southeastern Turkey and so on, if you can get to a deal with this guy and he says yes, he will deliver. PICKERING: Yeah. Have I got a great idea for you, type of thing, yeah? JEFFREY: Yeah. Exactly. And if you can put it in terms of, look, your economy is going to tank. You’re not Russia. You don’t have the world’s largest—or among the world’s largest reserves of oil and gas. You have to function in a modern economy and on the basis of the openness and brains of your population. And that requires a different domestic approach than you’ve got. It’s not going to get you to a good place. That’s the kind of thing that he does respond to. I was talking about this earlier. That’s why he came out today and said: I’m in favor of secularism in the constitution. It’s purely cynical, but that’s—we got him where we want him. PICKERING: Question here. Over here, sir. First, question on U.S. leverage. It seems to me of all the things you’re discussed up there, or explored, where you might have some leverage, the one with the Russians is the one that’s most credible, because Erdogan is going to face, and does face, a lot of questions regarding the Russians. And he’s not going to like or want to be without the backing of the United States. So it seems to me that’s an area where we could push and try to make certain deals and so forth. And the other reason why he’s not going to like—want to do it, is not only because Russia is a great power with whom they’ve lost 13 wars historically, but the fact is that not many people have looked at—realized this, but the PYD has opened an office in Moscow. This is a real signal to the Kurds that—from Putin—is very bluntly and directly to them: Look, we can make life very difficult for you, as we did at some times during the Cold War, which we haven’t done lately, but if you’re going to play hard ball, we’re going to play harder ball. And that, I think, may have even more influence on his thinking, because he doesn’t want to see Russians mucking around with the Kurds. That really would force a real problem. PICKERING: Why don’t we do that question, and then we’ll get around to you again? Comments on Russia, Kurdish protection, protecting the Turks in the case of Russia? As I said earlier on, we’ve already bought and paid for that in Article 5. What do we need to do next? JEFFREY: Yeah, I’ve been trying to restrain myself from criticizing the administration this whole meeting, but now I’m going to have to come out—(laughter)—of my role as a member of the NSC. JEFFREY: And it’s a little bit like we keep telling the Gulf States: We’ve got your back, with Iran, we’ll sell you better missiles and start integrating your air defense systems. And they say this isn’t about air defense. It’s about how you act when suddenly we see, you know, a Russian taskforce showing up in Syria bombing Sunni Arabs. What’s your response, America? Well, we issued a statement. Anyway, and so the whole Article 5 thing, we agree with you. You’re absolutely right. That’s the way to go. But then you can’t do things, and again two examples in the last year, pulling the Patriots out of Turkey after the shoot down, and pulling the aircraft carrier out of the Middle East just before the shoot down. Both of them, as far as I can tell, were technical military reasons that normally the reason that you have—one of the reasons, America, you have the NSC is to tell the military not to do what makes most sense from a budget and mechanical and maintenance standpoint, because it will hurt foreign policy. So that gets to, if we really believe that what we’re seeing with Russia is generally analogous to Russia going into Afghanistan, Russian going into Ukraine, Russian trying to intervene in the Yom Kippur War, and our responses will be at that kind of very serious level, then flowing from that can be specific nuts and bolts policies and positions and maneuvers and sights and deployments that all fit into that thing. If we’re ambivalent about this, and I would argue we are ambivalent about that every at least third day, it’s kind of, well, maybe it’s a good thing we’ve got Russia now as an ally against ISIS. I mean, we’re not talking with one voice on this issue. As long as we’re not talking with one voice on the basic, fundamental security problems of the region, it’s hard to work out an implementing strategy that will have any legs. Out there, more questions. Right here, sir. The microphone is by your right hand. Good. Q: Yes. Thank you. I’m the ambassador of Cyprus. Q: Well, I will try to add, but a little bit of note of caution as well. Well, I would agree that there is considerable hope for a Cyprus settlement this year. The reason is most analysts, if not all analysts, would agree is that we have two leaders in Cyprus that really want this. It’s the election of Mr. Akinci that has made the big difference. 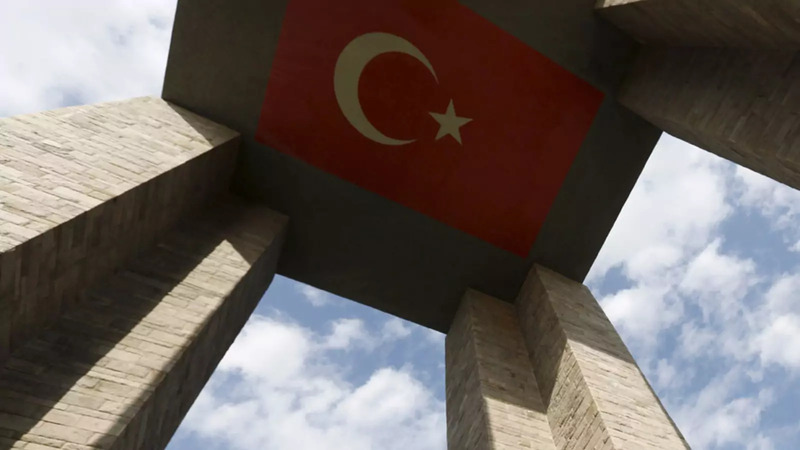 It’s also known—well-known that Turkey has been making very positive noises vis-à-vis its attention on Cyprus in the last few months, since the negotiations have restarted. But what is needed now is for Turkey to deliver on specifics and to deliver soon, by the end of the year, perhaps. We need some constructive decisions on the part of Turkey on things that Mr. Akinci and the Cypriots themselves cannot decide—things like the troops and so on, that are 100 percent absolute Turkey. We worry about three things, basically. And like I said, I’ve only been here a short time. And listening to you today, it reinforces some of these worries that we have. First of all, in transactional terms, is there enough in a Cyprus deal for the Turks? And where would it come from? Would it come from Europe? Obviously that’s problematical, because the Europeans may not have the intention to accept Turkey as a full member, as we know. Where could this payback come from? Secondly, is Mr. Erdogan reliable or reasonable enough to be expected to make the right decisions? And thirdly, since American influence seems to be diminishing on Turkey, who will be the one that will convince the Turks to do the right thing? And the remnants of American influence on Turkey, if I may call it that, would the U.S. be willing to use them for Cyprus, rather than one of these other very important interests that the U.S. has in the region? Would any of you like to make a—your points strike me as reflecting some of the same comments that we have made here, but would any of you like to carry this on a little bit further? This is not a Cyprus negotiation policy decisions process, so I think the real question is how it relates to the discussion we’re having of Turkey. Jim? JEFFREY: Very quickly, yes, I think the U.S. would use whatever leverage it can with Turkey. I think Cyprus is such a big thing, not just as a domestic issue but in the whole context of the eastern Mediterranean today, gas policy out of Israel and such. I think it would be, A, a very wise move to put a lot of weight into this. B, I think that it would be something that this administration, or almost any administration, would do. I think Erdogan can be trusted to deliver. What Erdogan—if I were sitting up here as Erdogan, I would say to you: Hey, I delivered the vote in Northern Cyprus in 2004. You guys didn’t. I understand you asking me, can you trust me. But I got to ask you the same question. So that’s how that argument will go. PICKERING: Another question, please? Yes, right here. Got it. Thanks. Q: My name is Jeremy Young. I’m an investigative journalist with Al Jazeera. PICKERING: It’s a lot better than being above Tajikistan, I suppose. Q: Well, they’re one place above the DRC. But anyway, could you give us a snapshot as to what’s happening, why that ranking is so low, and is the U.S. doing anything about it? Is this—did it not come up today because it’s just not as big of a priority versus all of these other issues we’re discussing? COOK: After you left Turkey, right. That’s what I meant. That’s what I meant. After you left Turkey, when his successor, and when then-Secretary Clinton brought these issues up, in particular the American ambassador was essentially told by the Turks to shut up and mind their own business. It is a huge problem. And it is—when I talk about this sort of U-turn, this authoritarian turn in Turkish politics, this is one of the things that I’m thinking of. When we are thinking about—kind of broadly about U.S. strategic interests, and how we are prioritizing the fight against the Islamic State, the mess that is Iraq, and the kind of geostrategic issues of the region, whether it’s the eastern Mediterranean or the Middle East, the question that we confront is: Do we address these issues of Turkish domestic politics at the risk of angering the Turks and undermining some of the things that we want to do with them around the region that will be good for us, or do we want to take a full-throated stand on that? Up until this point, it strikes me that it’s clear that the administration has chosen the latter rather than the former, but I think as we pointed out, these are really—these are difficult issues, given Turkey’s geography and that it touches almost every important critical—whatever Washington talking point it is—issue that the United States confronts in the Middle East and beyond—Caucasus, Russia, et cetera. PICKERING: How much Turkish language broadcasting do we do? Jim, do you have any idea? JEFFREY: We did do some, but not very much. And that’s, of course, the fallacy of what Erdogan does, because the Turks are really very good—just like every other—denizen of any totalitarian, authoritarian, or repressive government, state in the world—at finding out what’s going on in the world. And they’re fully—we do raise it. We have to raise it, simply to be honest with ourselves. But we have to raise it with the understanding that it ain’t going to make any difference to Erdogan. PICKERING: My view is that issues like that, traditionally we do better when we have better relations going on or we have a dependency relationship in which for them the relationship with the United States is more important than it is oppressing the press or dealing badly with civil rights, and that that’s the kind of relationship that this group is now seeking to try to move us toward. And raising the question consistently in a useful way is something that I don’t think we ever put off the agenda. But having hopes by continuing to do the same thing we’re going to get a different result, without changing the backdrop, if I could put it that, or the relationship, is a harder question to solve. Question? We’ve exhausted you. OK, right here. Q: Patrick Theros. If anybody out there knows me, please don’t tell. PICKERING: Patrick, great to see you. PICKERING: That’s from a Greek American, so speak up. Q: I stand in awe of Mr. Erdogan, actually, in many ways. The problem is that he is a brilliant negotiator, knows how to push. And everybody who’s been negotiating with him never pushes back. There is a long-term downside to Mr. Erdogan’s policy which could mean some very serious trouble for the state of Turkey. And it appears that we’re all dancing around, not telling him that left to his own devices he could very much wreck the Turkish state. Shouldn’t there be—shouldn’t there be sticks on this one as well as carrots? PICKERING: Jim, would you have a comment? You’ve deal with him? JEFFREY: Yeah, I kind of did this in passing at the beginning, when I said we may need to get back to first of yours because from a pure realpolitik standpoint, the platform that we’re expecting to do all these things and—(inaudible)—is a fragile platform because of what he’s doing. So I think that’s a message. But again, I’ll get to Tom’s point which was, as everything Tom says, brilliant. We have to have a better backdrop of relations. The more they think we really have their back on key security things, the more they’re willing to listen privately and quietly to us talking to them about—or not them, him—domestic political issues. It may not work in the end. And he may just drive it off the cliff. But we’ll have—we would have a fighting chance with this guy. And in terms of pushing back against him, the negotiations—or a lot of them that I’ve been in—if you come up with an alternative and tell him, look, you know, oh great leader, we want to do this with you but if you don’t want to do this, we understand, we’re going to go off and do it with somebody else. That kind of gets his attention. I almost got the feeling he likes it when that happens, because it’s treating him seriously. So he’s a guy that you can, and we do, push back against from time to time, and it does work. PICKERING: We’re now at the period where we’re going to do a brief windup. We talked about a pretty broad menu, maybe even a smorgasbord. I’d like to hear your windup comments. But give us a sense of which of these potentially useful but apparently feckless items we’ve discussed here you would put at the top of the priority to try out, just to give us a little sense of how you see the priorities. Maybe, Melissa, since we haven’t called on you, we could ask you to lead off. DALTON: Sure. I think, you know, a common theme, and to bucket some of the options that have been discussed, is going back to this idea of thinking about Turkey in the broader milieu of the security environment. Like, it’s not just about the Middle East. It also makes sense to parts of Europe. So whether that’s thinking about Turkey and its role in deterring Russian aggression, whether it’s repairing relationship with Israel, fusing intelligence and operations on the Iraqi side of the board, thinking of Turkey as it sits in its geostrategic position as a network—a node in the network I think is really important going forward. And I would add to the discussion on the Syrian-Kurd dynamic, that perhaps it’s worth a constructive and creative conversation with the Turks that their evolution in how they have thought about the Iraqi Kurds is quite interesting, where they now think of them as somewhat of a partner, somebody that they can work from an economic perspective, from an overall cooperative perspective. Is there a future in which the Turks can imagine a Syrian Kurdish entity that resembles the KRG? It may not be the YPD or YPG, but, you know, is that some sort of common vision that we could work towards? So I’d just leave that there. PICKERING: Thanks, Melissa. And I think that is sort of the natural evolution from working with the Iraqi Kurds. You know, there are examples and ways that one could look at presumably greater autonomy, another good reason for not pushing the Iraqi Kurd process over the edge, if I could put it that way, which is a greater catastrophe. Jim, do you want to—I’m giving Steve the first and last comments. Would you rather have the last comments? It’s your choice. JEFFREY: I would second the Kurdish one, and just add a rational approach to Syria that will clip the wings of some of Erdogan’s more ambitious and wilder ideas, but get us with a little bit more skin in the game without, as you said, provoking a serious confrontation with the Russians. I think there’s room to do that. You combine that with the Kurdish issue, and a little bit more muscle on the bones of the NATO commitments to these guys, and that would give you the backdrop that would allow you to talk about a whole lot of things, from Cyprus to Israel to press freedom, frankly. PICKERING: Thank you, Jim. Steve. COOK: Let me just, on the record, suggesting that I’m deeply pessimistic that we will be able to move the Turks, at least through the duration of this administration. It is going to require us to take a different approach to the Russians, a different approach to Syria, and a different approach to the Kurds. But one thing that we could be doing and we should be doing, and I think that—and Jim kind of hinted at this—and the way in which you have to talk to Erdogan, and that is to play to his vanity about who he is and where he’s taking Turkey and the transformation of Turkey, and that some of the things that he has done, both domestically and abroad, can undermine this project. That his—there are hints, there are glimmers that he understands that Turkey’s strategic position in the region has diminished significantly since 2011 to 2012. Part of that is a function of his domestic politics, and that he should think about—he knows where he wants to go, but that there are all of these things around him that can undermine that, and that we can help him achieve that. I think, you know, too often there are cries, you know, including from myself, that we should, you know, kind of put the squeeze on Erdogan. And certainly the press freedom, those kinds of things. But at the same time, if we’re never going to get—if we feel like we have to say those things, but we’re never going to get there, we might as well try another track. And lord knows he thinks well of himself. So we may want to use that on some of these issues in our kind of broader discussion. PICKERING: Just a brief final comment from me. I think successful policy requires a pretty clear sense of the objective. I think we’ve tried to give you that today in the various discussions we’ve had of the policy focus and where it tends to go. We’ve also tried to look pretty broadly at places where in the transactional aspect of this, which is more than just a quid pro quo, it’s the building of confidence and the building of a relationship that it’s very important. I think any meeting of the NSC like this has to evolve something that’s more of a decision to go for one of these particular pieces. You have to look even in this pretty broad stovepipe at how the synergies might work, how the syncopation, the timing, and the development of the efforts might be. What you need to look at is clearly—and we haven’t had the time to do that—as much of the downsides as the upsides, although you’ve all tried to help and I think been voices of clarity, concern, and understanding of what this is. But this is obviously not even a reasonable facsimile of a real meeting, but certainly you can count on yourselves of having had an ear and eyesight at the beginning of the creation of our new Turkish policy here at CFR. (Laughter.) And for that, we’re very grateful for your support of CFR, your attendance today, and for your willingness, obviously, to give us your thoughts as this process proceeded. Thank you very much for coming. But it remains for me also to thank on your behalf, Steve, and Melissa, and Jim, for their offerings, which I think were rich, very helpful, and very constructive, but also very objective. And so thank you for keeping that balance, which sometimes is very hard to get.